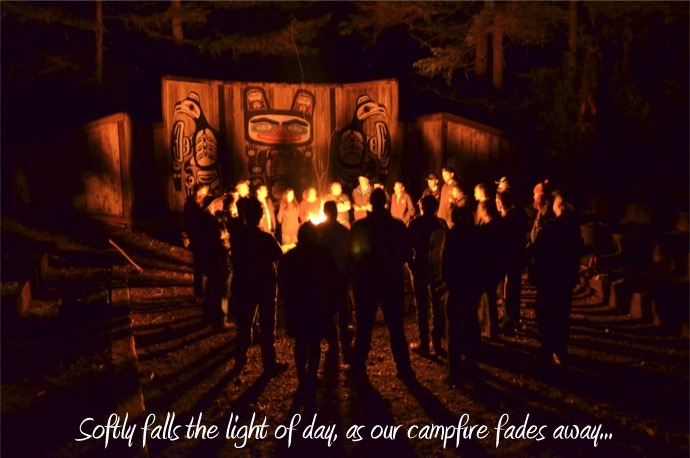 Camp Staff and alumni gathered for the final campfire on February 27, 2016, to share memories and reflect on over 80 years of Scouting experiences at Camp Hahobas; a place many have called home. 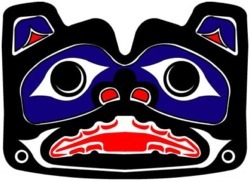 On December 16, 2015 The Executive Board of the Pacific Harbors Council voted to close the Camp Hahobas summer camp program and three other Council properties: Camp Delezenne, Camp Curran and Camp Kilworth. The board also approved preparations for Camp Hahobas and the other properties to be put on the market for sale. On Monday, February 25, 2019, the Council closed on the sale of a majority of the camp property to the DNR and the Great Peninsula Conservancy, leaving the remaining 122 acres of Camp Hahobas under Council ownership, which will be opened for rustic camping by Scout units in the near future. The remaining camp property includes the rifle and archery ranges, the Bear Bowl, the Nature Lodge, Environmental Science Lodge, Fruitcake Lodge, Handicrafts Lodge, Twana Lodge, U Lake and the Robbins Lake waterfront. The property purchased by the DNR and Great Peninsula Conservancy will be available for use by Scouts, and has a permanent conservation easement, and will never be commercially developed. 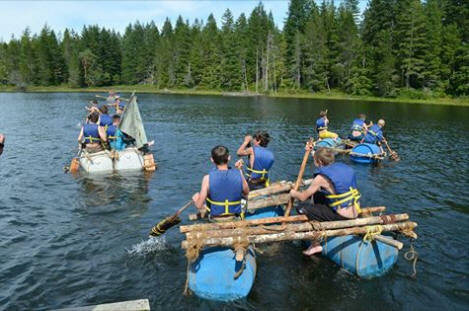 The Great White Newt Regatta is an annual event at Summer Camp. * Join Our Email List * Sitemap * Area Map * Campsite Map * Camp Hahobas Map * Email Us!